Rugged construction features handle loads up to 1000 lbs. Practical design is easy to use and operate. 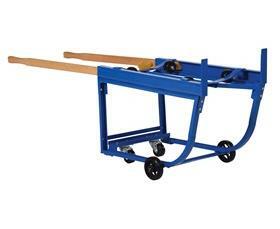 Two retractable wooden handles are included for easy one-person operation. Steel handle also included for holding drum during tipping operation. Steel handle includes built-in bung nut wrenches as an extra feature. 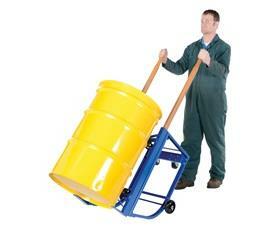 Includes 2 swivel, 2 rigid casters. Painted finish. Easy assembly. FOB Shipping Point. 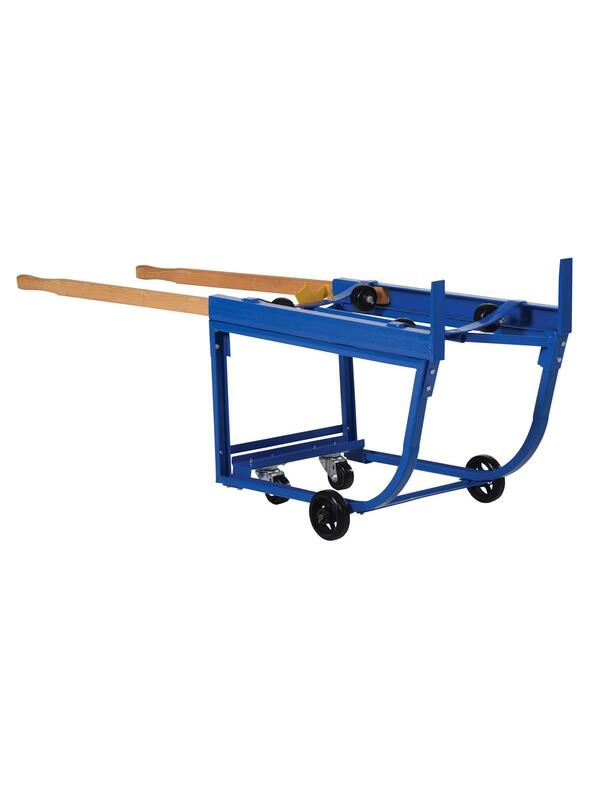 See Related Items for Drip Pan for Deluxe Rotating Drum Carts.